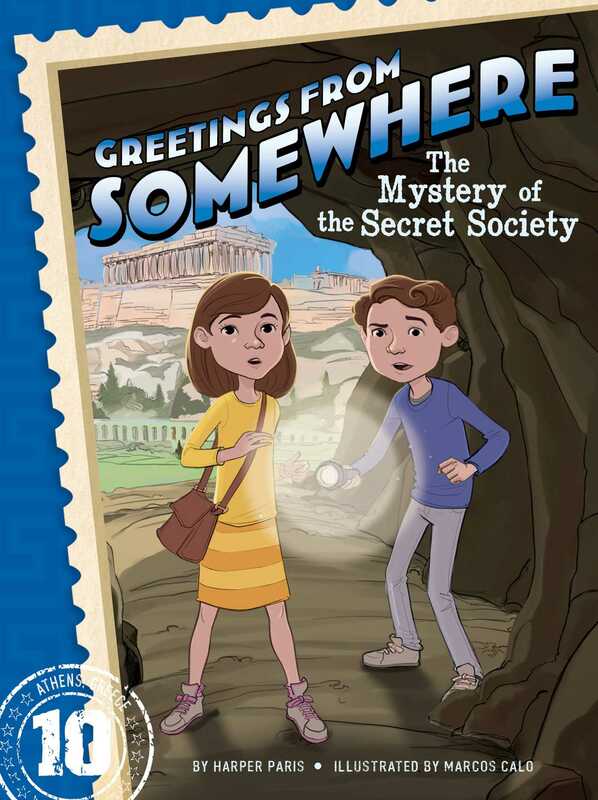 Ethan and Ella discover a secret society in Greece in the tenth book of Greetings from Somewhere, an exciting series about mystery, travel, and adventure. Ethan and Ella have never been anywhere as cool—or as old—as Athens, Greece. Surrounded by crumbling buildings and ancient sculptures, the twins are excited to follow in their Grandpa Harry’s footsteps and explore the ruins. While they’re exploring, they stumble upon a mysterious painting on an underground wall. What is it? And what in the world is the Society of Apollo?